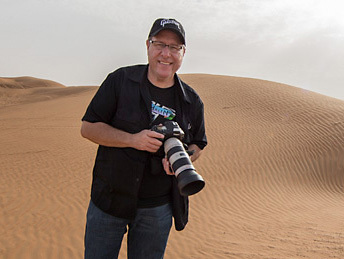 It’s #TravelTuesday right here at Scott Kelby’s Photoshop Insider, which means that I, Dave Williams, get to drop in again and share a little something with you all! Aren’t you lucky! Well, here in London, it has stopped raining for a few minutes, so what better time to drop a top tip for shooting in the sunshine. In the upper half of the world, the days are getting longer, the sun is getting brighter, and the cocktails are tasting better. When we don’t perhaps have the time to shoot during the golden hour times the sun can be something of a hinderance, but that’s only if we let it be. With these tips, you can overcome the hurdles it presents and make the most of shooting at the time when we’re all told as photographers not to! Here goes! Shooting bracketed shots, three is usually enough, and merging them into an HDR image goes a long way in reducing the glaring highlights and dangerously deep shadows caused by bright, direct sunlight on a summer scene. I’m not talking over-processed, high-vibrance, unrealistic HDR here, I’m talking about using the benefits of a High Dynamic Range to bring balance back to a photo which would otherwise have a lot of contrast and, therefore, not show off your scene. Using the Merge to HDR function in Adobe Camera Raw is the most straightforward way to do this—just select the images you wish to merge, then Right-click and choose Merge to HDR. High Dynamic Range shooting and processing is absolutely ideal for bright, sunny conditions where you lose details and where your image loses quality. You can have a potentially amazing composition of an amazing subject, but if your image is clipped or your shadows are hiding awesome details, then you’re letting your image down straight from the get-go. That’s what I’m trying to tell you, though—it doesn’t have got be that way! There are people out there who are still put off by HDR’s history of being a bit too “in-your-face-surreal,” but it’s just not like that anymore. Well, not unless you want it to be! When you shoot with your iPhone, turn on HDR or use Auto-HDR on a sunny day to capture well-balanced images, and when it comes to your DSLR or other camera make sure you know how to shoot bracketed images. Over on KelbyOne.com, you can learn all about the specifics of how to merge your images using different techniques that give different results, and I urge you to start doing it now that the sun’s back out!